FRANKLIN, Tenn. (WKRN) – Nine years have passed since Rebecca and Isaac Savoie went missing from Franklin, Tennessee. The kids, six and eight at the time, were at the center of a divorce that took them more than 6,000 miles away from Middle Tennessee to Japan. Their father, Christopher Savoie, made world headlines, after allegedly trying to recover his children from Japan. “Elation left for a few minutes, and now we’re back to square one,” said Amy Savoie, Christopher’s wife, in an interview in 2009. Christopher returned home from that trip in October of 2009 empty-handed, igniting a nearly decade-long overseas battle to get his kids back from their mother, his ex-wife Noriko Esaki. “Divorce is hard for any family, and for kids involved in it,” said Lt. Charles Warner of the Franklin Police Department. The department has been overseeing the case from day one. The last time Christopher saw his children was August 11, 2009. That morning, Noriko picked up Isaac and Rebecca for school from Christopher’s house, in the Fieldstone Farms neighborhood in Franklin. Two days later, Williamson County School officials notified Christopher that his kids didn’t show up to Winstead Elementary. August 17, the Savoies report to Franklin police that Noriko abducted Isaac and Rebecca and had taken them to Japan. The challenge for detectives became the kids now being an ocean apart. From sadness and frustration, to hope and action, Christopher’s case made the case for change. In 2014, Japan joined the Hague Convention, an agreement on international child abductions. Yet, the children weren’t returned. Noriko, to this day, is wanted by the FBI for unlawful flight to avoid prosecution and by Franklin police for custodial interference. The offenses though aren’t recognized by a foreign government. In that gray area is a sense of solace. Regular welfare checks by federal officials, relay that Isaac and Rebecca are happy and thriving. News 2 tried reaching out to Christopher Savoie but have not yet heard back. Now that Isaac and Rebecca are 15 and 17 years old, investigators say the two now have increased ability to reach out to their father, the Embassy or Consulate. If you have any tips on this case, you’re urged to call Crime Stoppers at 615-794-4000. You can also directly share tips with a Franklin police detective at 615-550-6815, or the Center for Missing and Exploited Children at 1-800-THE-LOST. Walter Benda has only seen his two daughters once in the past 23 years. His wife disappeared from their home in Chiba, east of Tokyo, in July 1995 after he had gone to work one morning, utterly unprepared for the disappearance of his family. After learning that his wife had disappeared with their children, he received no help from Japanese authorities to find his daughters, despite the US government issuing an international arrest warrant against his wife for kidnapping. The one time he saw his daughters since was a fleeting glance after a private detective had tracked them down. There was a glimmer of hope in April 2014 after Tokyo agreed to sign the Hague Convention on the Civil Aspects of International Child Abductions – after years of pressure from foreign governments trying to solve hundreds of similar abductions by Japanese nationals – but now Benda says he is no closer to finding his children. Foreign parents who had children stolen by a spouse say nothing has changed because court orders to reunite abducted children are not enforced in Japan. Even though the law is on their side, the parents emphasise, they are still unable to be reunited with their children. In 2017, there were nine abductions involving 13 children from the United States, of which five cases were resolved. But a quick look at the website of the US-based Children’s Rights Council – of which Benda is a founding member – shows more than a dozen outstanding cases, some of which go back more than a decade. The report concludes that Japan is one of the worst countries in the world for complying with the Hague agreement, a finding that Benda says is “definitely justified”. Japanese law makes it difficult for children who have been taken by a parent to be reunited with the other parent. It requires police and court officials to visit the home of the abducting parent, the child must willingly leave the taking parent and the child must not be at risk of psychological harm. The drawbacks to these conditions are clear – particularly if a child has been effectively brainwashed to choose the abducting parent. 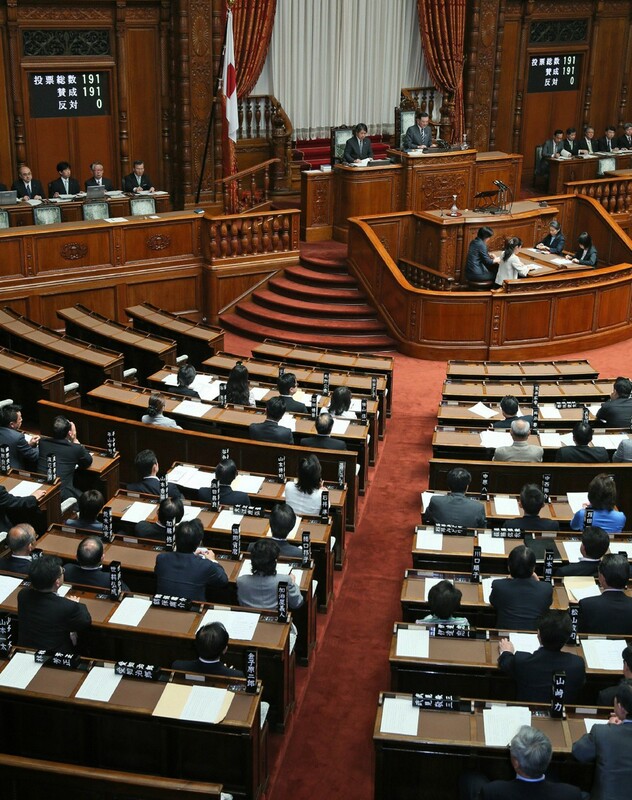 There are also long delays in the Japanese legal system that make enforcement more difficult, Benda points out, adding that the state department report makes clear, “unless the taking parent voluntarily complied with a return order under the Convention, judicial decisions in Convention cases in Japan were not enforced”. Yoko Kamikawa, the justice minister, said late last month that the ministry would begin to overhaul laws that implement the Hague Convention, including allowing for the return of a child when the parent who abducted the child is not present – although Benda says he still has deep reservations over whether authorities tasked with intervening in such cases will side with a foreign parent. Brian Thomas, who was the joint founder of the Japan branch of Children’s Rights Council and last saw his son, Hajime, in April 1993, agreed that greater enforcement of the law was needed. “It is encouraging that Japanese courts are now siding with foreign parents who have had their children abducted, although that breakthrough is completely negated by the courts failing to insist on the abducting parent abiding by these rulings,” he said. Thomas said abducting parents often hid behind the law’s requirement that a child must be shielded from psychological or physical harm. “They are aware that is a loophole in the law. The courts and these abducting parents are treating the children like chattel rather than living, breathing people who deserve to be loved by both parents, no matter what,” he said. Benda said he advocated a carrot-and-stick approach to existing cases, with outstanding international arrest warrants rescinded after the abducting parent has agreed to honour international access orders. For parents who still refuse to comply, then they need to understand from the Japanese authorities that they face extradition orders to face kidnapping charges overseas. 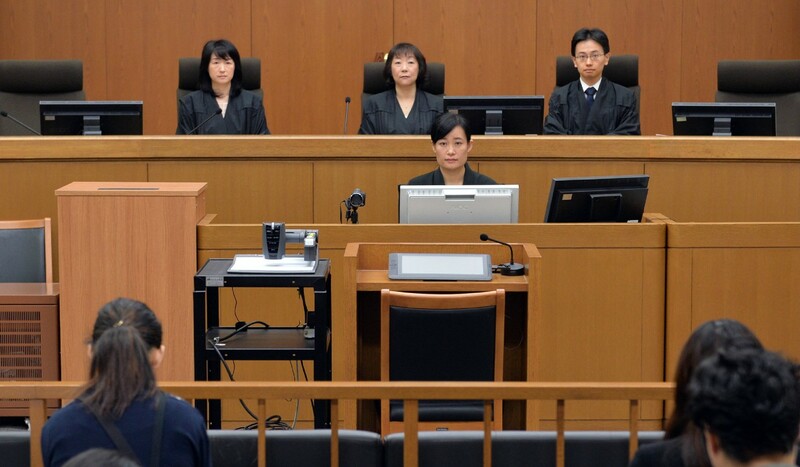 Nagoya High Court orders mom to return son to dad in U.S.
NAGOYA – The Nagoya High Court ordered a woman on Tuesday to return her son to his father in the United States, saying her failure to comply with an international convention on child abductions is illegal. The court ruled in favor of the father in a dispute between parents, who are both Japanese, over the custody of their U.S.-born son, who was brought to Japan by his mother without the father’s consent in 2016. A government panel is considering making it easier for children to be handed over to parents who have secured custody even if the former spouse defies a court order to let them go, sources close to the matter said Tuesday. The Justice Ministry advisory panel plans to allow the hand-over of children to parents who have won custody, even in the absence of the parent defying the court order, the sources said. In September the panel said that, in principle, removal of children by court officials would be possible only if the parent currently living with the children is present at the time. But the panel is now proposing that only the presence of the parent who won custody is required. The panel reviewed an earlier report after critics said the parent who had lost custody may intentionally hide to prevent the hand-over of children, and that the absence of such parents has prevented transfer of custody in the past. Japanese legislation implementing the Hague Convention on the Civil Aspects of International Child Abduction is expected to be revised as it currently requires the parent living with the children to be at the scene when children are handed over to the parent with legal custody. 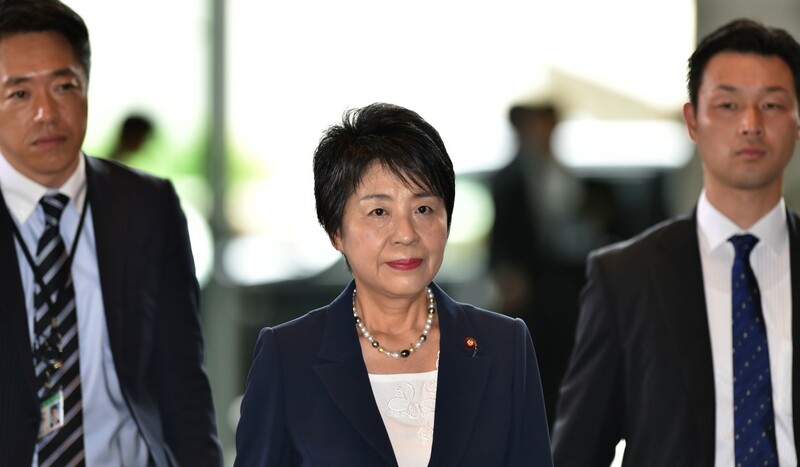 “I hope to see an effective (legal revision) that will also give maximum consideration to the mental and physical well-being of children,” Justice Minister Yoko Kamikawa told a news conference Tuesday. The convention, to which Japan acceded in 2014, set out rules and procedures to allow for the prompt return of children under 16 taken or retained by one parent to the country of habitual residence, if requested by the other parent. There is currently no stipulation in Japan’s legal system regarding parents who do not abide by court orders to hand over children to their former spouse. Such disputes have been handled based on regulations regarding the seizure of assets. According to the proposal in the interim report, divorced parents who defy a court order and refuse to let their children go would be fined until they yield, in order to encourage them to voluntarily abide by the court decision. After compiling a fresh outline that includes the latest review the panel is set to submit its proposal to the Justice Ministry, possibly in autumn. Last month, the U.S. State Department listed Japan as one of the countries showing a pattern of noncompliance with the Hague treaty in its annual report on the issue. It said that Japan has made “measurable progress” since 2014, but pointed out the lack of “effective means” to enforce court return orders.